On 31 January 2019, the Spanish Minister of Internal Development, José Luis Ábalos Meco, made a public statement accusing organisations working on migrants’ rights, including Caminando Fronteras, of promoting irregular immigration and human trafficking through their humanitarian work in the Mediterranean Sea. Helena Maleno, founding member of Caminando Fronteras, is currently facing charges in Morocco based on the same allegations. Caminando Fronteras is a non-governmental human rights organisation that has been focusing on the protection of migrants’ rights for the last 16 years. The organisation offers a lifeline to migrants who are seeking to reach Europe by sea via the Moroccan-Spanish border, often in boats that are unseaworthy. On receiving calls from at-risk migrants, the organisation alerts the maritime authorities. Caminando Fronteras also provides legal, social and healthcare support to migrants and documents human rights abuses from both sides of the borders. Helena Maleno is a journalist and researcher who has been living in Morocco for 14 years. She is an expert in migration and human-trafficking and is particularly focused on women's and children's rights. Her human rights work has been recognized internationally and she has received several awards, including the Human Rights Award "Nacho de la Mata" (2015) granted by the General Council of Spanish Lawyers, the Human Rights Award of the Human Rights Association of Spain (2018), and the MacBride Peace Prize (2018), awarded by International Peace Bureau. The criminalisation of Helena Maleno in Morocco has been denounced by UN human rights experts, including the Special Rapporteur on the situation of human rights defenders and the Special Rapporteur on extrajudicial, summary or arbitrary executions. In a speech on 31 January 2019, the Spanish Minister of Internal Development, José Luis Ábalos Meco, said that “70% of cases alerts” received by the Spanish maritime authorities come from “an NGO from Morocco” and are “about migrant boats that are about to depart”. He was implying that Caminando Fronteras work constitutes human trafficking and migrant smuggling, rather than humanitarian aid. The Minister also claimed that there is a “fraudulent use of humanitarian services” to carry out human trafficking. On 29 November 2017 Helena Maleno, who is a Spanish citizen, was summoned to appear before the Tangier Court of Appeals in Morocco, where she was charged with promoting illegal immigration and migrant-smuggling. Helena Maleno is facing a possible life sentence in Morocco. The charges that the woman human rights defender’s is facing in Morocco are based on police investigations that were carried out by Spanish police in 2012, when she was alerting rescue services after receiving distress calls from migrants. Spanish authorities dismissed the case against her in April 2017, due to lack of incriminating evidence, but they sent the documentation to Morocco, where Helena is living, to enable the Moroccan authorities to open an investigation against her. According to Caminando Fronteras, the accusations of people smuggling are baseless, since the alerts are not only sent to the Spanish authorities, but to Moroccan and Algerian authorities too, and only when there is a real risk to the health and safety of the migrants. Under international law, the three countries are obliged to share information, coordinate rescue operations, and decide which port migrants will be taken to. Women's Link Worldwide, Justice Associates (JASS), Front Line Defenders, the World Organisation Against Torture (OMCT) and the International Federation for Human Rights (FIDH) are deeply concerned by the statement of the Spanish Minister of Internal Development. 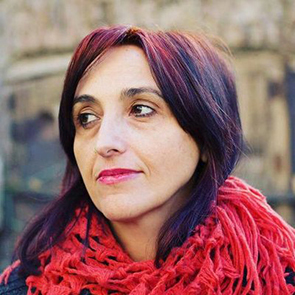 They believe that his statement not only encourages the criminalization of the work of migrants’ rights defenders in Spain and Morocco, but also negatively affects the ongoing criminal case against Helena Maleno. Furthermore, it discredits the peaceful and legitimate work of Caminando Fronteras. They furthermore condemn any attempt to promote a discourse that criminalises defenders of the rights of migrant people, which is being persistently used across Europe. Such statements inaccurately imply that public funds and services are being used to support irregular migration, and wrongly create a link between criminality and solidarity with migrant communities. 3. Guarantee in all circumstances that all human rights defenders in Spain are able to carry out their legitimate human rights activities without fear of reprisals and free of all restrictions including judicial harassment.